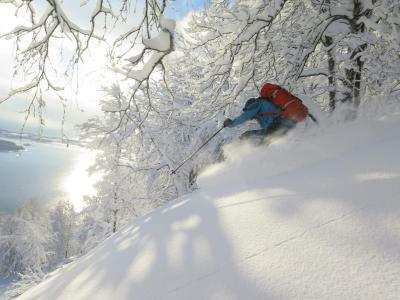 Lock in a great price for Magic Mountain Lodge - Lyngen – rated 9.1 by recent guests! The staff was very friendly and always around, easy to ask questions, information and talk. Social setting out in the restaurant / lounge, surrounded with beautiful views (also from our bedroom/dorm). 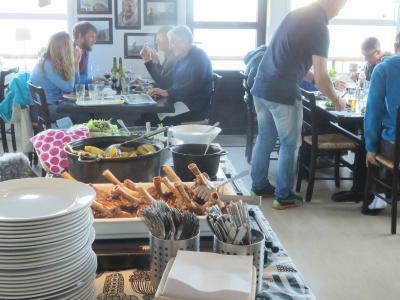 We arrived too late in the afternoon to join the dinner out in the restaurant but the public kitchen was fully equipped, clean and cozy for us to prepare our own dinner. 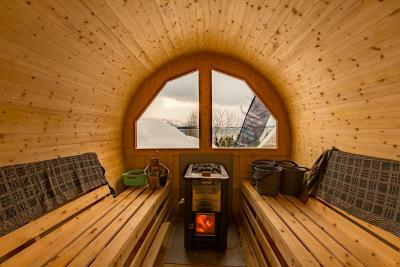 (the supermarket was only 10min walk away) We booked the sauna as well, which gave extra value and relaxing vibe to our stay. Very open and feel good place. The view is fabulous. 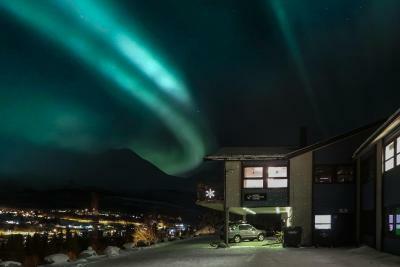 We manage to see the Aurora at through out the window of our room. 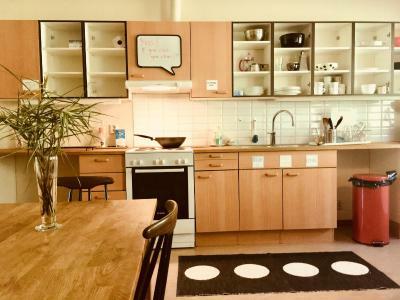 There is public kitchen can be used to prepare our own meals. Patrick and Henrika are very helpful on the questions we had. Patrick and Henrika place were really great. Patrick welcomed us and he is really friendly. We had a great chat before checking in. 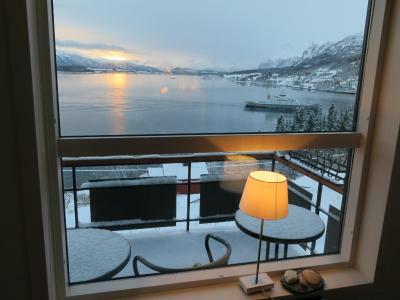 The view from our room were stunning, overlooking the fjords and we had a lot of fun capturing pictures of Aurora just from the foyer. Recommended! 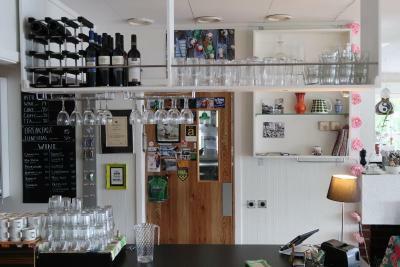 Our owner is really nice and there’s a guide book of hiking lyngenfjord which makes me want to take more time here. You can spend a week if you like hiking! Don’t worry about your luggage that here’s an elevator even though here’s only 2 floors in the building. All of the staff was amazing, especially Riku and Henrika. They were always happy to help. The place was cozy and we enjoyed every minute. Close to lots of hiking trails! 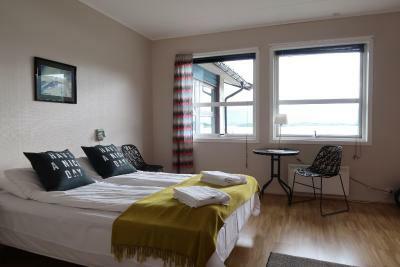 excellent location view to the fjord, room was clean, big and comfortable. big shared kitchen fully equipped. lodge with great atmosphere. It was raining When we arrived to the bus stop, we were supposed have to walked around 10-15 minutes to the hotel, but Henrika the owner was waiting for us to drive us to the hotel. It was a good suprise & service. The breakfast was great on the first day. Cheese platter was superb. Also, the owner (Henrika) was SOOOO generous to lend me winter boots and gaiters. This enabled us to trek the nearby woods and roam the village without frost bite and slips and falls. She, and the rest of the staffs, were so kind and helpful. 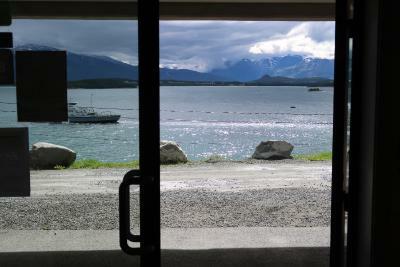 The lobby place is pretty looking out of the window of the snow Mountain view and the lake is just in the front. The kitchen is public and facility is just good. But the bad thing is that all the places inside the hotel corridor access fully of kitchen smell, even the smell can expanded into the bedroom. So we left in the next early morning. 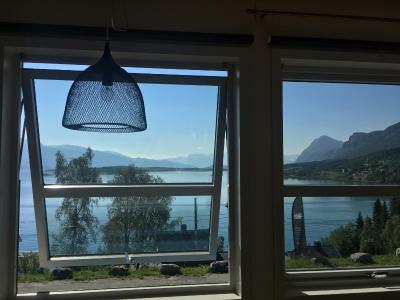 One of our top picks in Lyngseidet.Overlooking the Lyngen Fjord, this property is set in the town of Lyngseidet, surrounded by mountains. 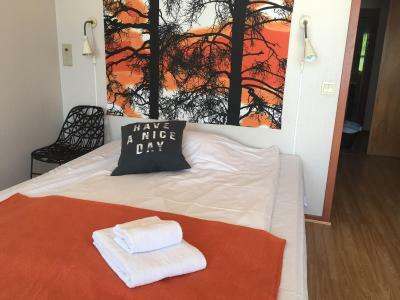 It offers free WiFi, fjord-view rooms, as well as a communal kitchen and a terrace with impressive views. 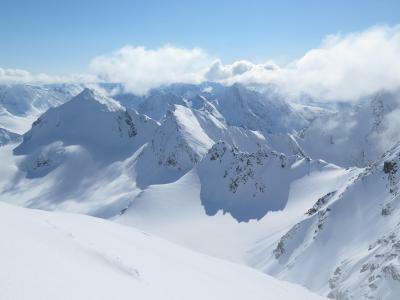 Guests at Magic Mountain Lodge – Lyngen can choose guest rooms with a private bathroom or basic accommodations with shared facilities. 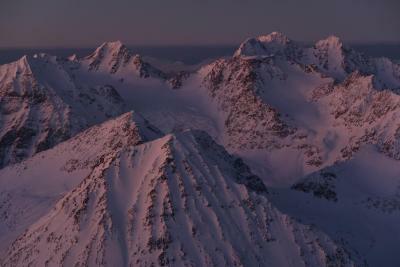 The Lyngen Alps provide excellent skiing opportunities. 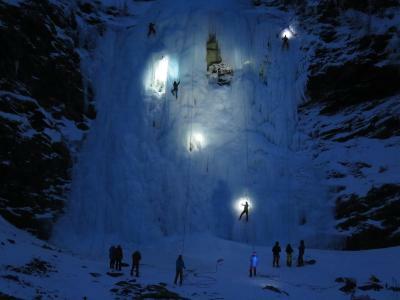 In summer, common area activities are glacier walking, alpine climbing and trekking. 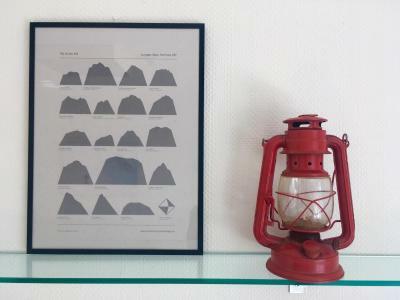 The town of Tromsø is 90 minutes' drive away. 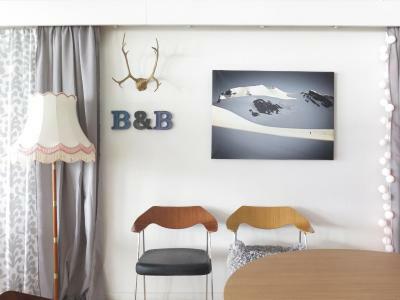 This property also has one of the top-rated locations in Lyngseidet! Guests are happier about it compared to other properties in the area. 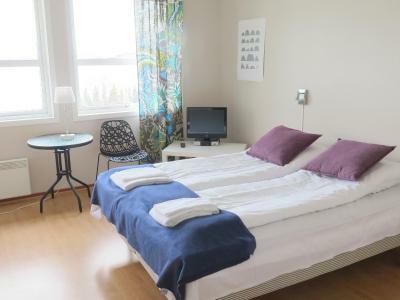 This property is also rated for the best value in Lyngseidet! Guests are getting more for their money when compared to other properties in this city. 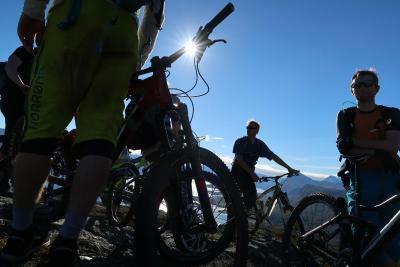 When would you like to stay at Magic Mountain Lodge - Lyngen? The house and all rooms are facing south. We have sun from early morning to about six pm during summer. 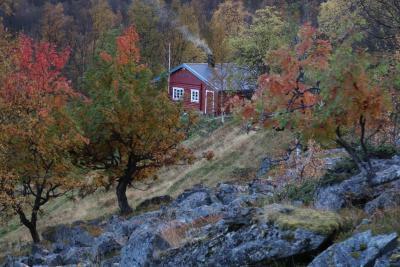 The house is 24 m above the fjord and makes you look down in the sea a bit from the restaurant. 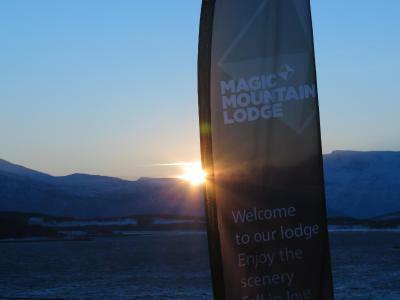 House Rules Magic Mountain Lodge - Lyngen takes special requests – add in the next step! 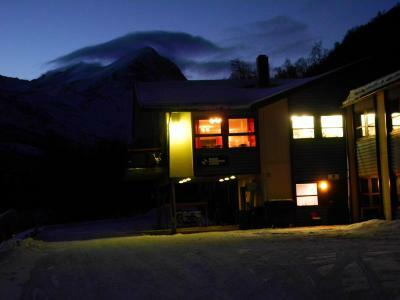 Magic Mountain Lodge - Lyngen accepts these cards and reserves the right to temporarily hold an amount prior to arrival. Breakfast and dinner must be booked at least 24 hours in advance. From June until August, a light evening meal is offered instead of dinner and does not need reservation. 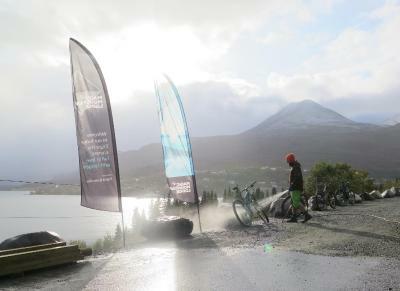 Please inform Magic Mountain Lodge - Lyngen of your expected arrival time in advance. You can use the Special Requests box when booking, or contact the property directly using the contact details in your confirmation. Fantastic place and hosts. Good food and atmosphere. Bed sheet was not clean. Very nice hotel, with a wonderful view. Our room was big and very comfortable. We also used the shared guest kitchen and we found everything needed inside. The owners were extremely friendly. 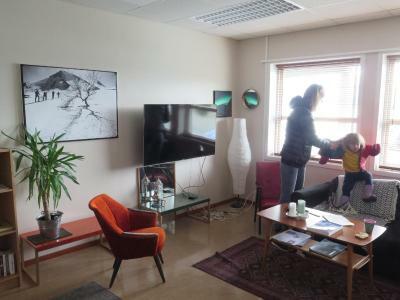 We staied just for a night and it was cloudy, so we couldn't see the northern lights, but I guess that in good weather the guests could observe the aurora through the big windows. For our stay the Magic Mountain Lodge was perfect. 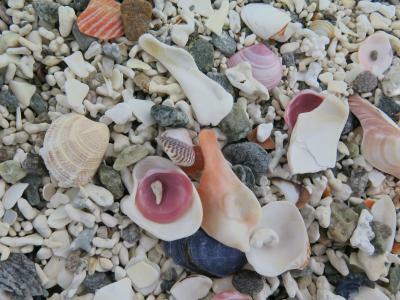 A smaller setting with a hospitable family. Very relaxed place, good breakfast and also good and resonably priced dinners. 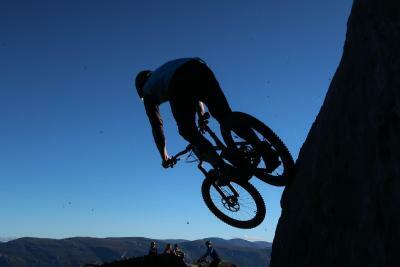 The owners gave us good recommendations for small hikes that we could do with our little baby. Dinner is delicious. 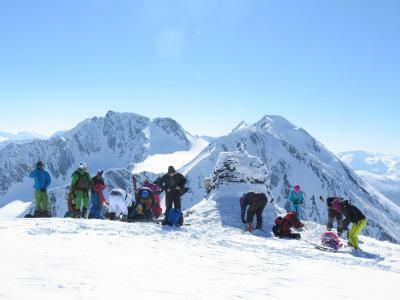 We tried the Dog Sledging tour (a small group) run by Tim Lyngen. Thanks for the host to arrange this tour for us. 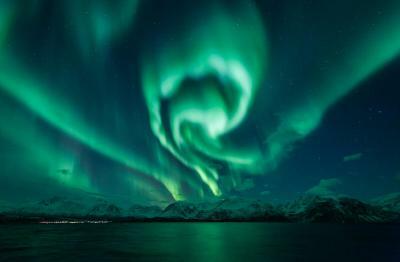 We can see northern light during the tour. 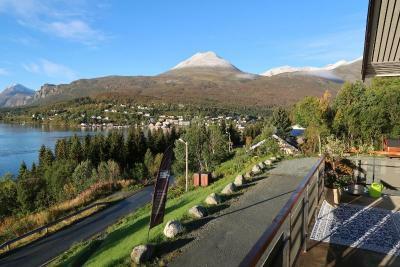 Great facilities and the lodge has a great views to the fjord The host couple and the staff are so nice.